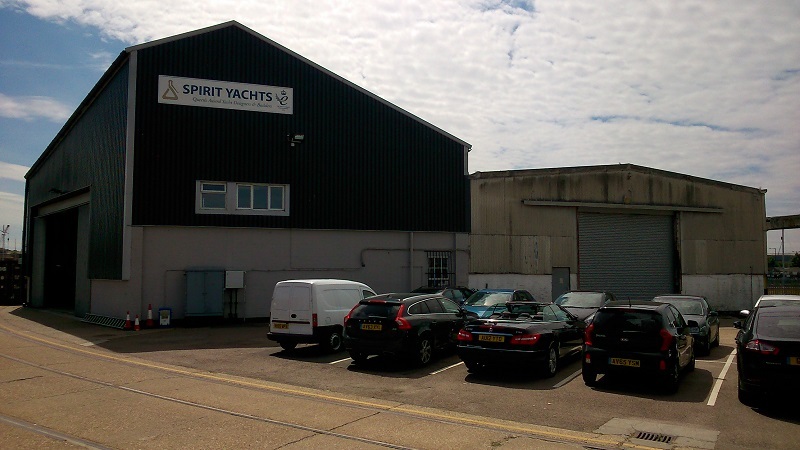 After several stages of planning applications, permission has finally been granted for development of the Spirit Yachts yard in Ipswich, Suffolk. Work is due to start mid-August on the building adjacent to the existing Spirit yard and it is set to be a state of the art yacht build facility. The additional space will house production mezzanines and a mechanical testing area. It will also allow Spirit to double the size of its existing lamination table, increasing the number of ringframes that can be built simultaneously. The current Spirit Yachts yard in Ipswich, Suffolk. With access via a 7.5m x 8m rolling door, the facility will allow Spirit to work on yachts up to 150 feet long with their keels on. 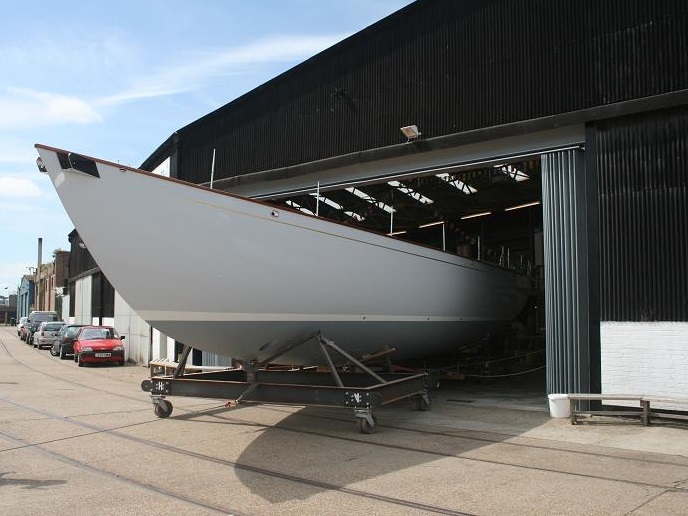 The vast entrance will also permit refit and repair work on existing modern classics with their keels on, meaning all projects will be protected from the elements. The new yard will comprise LED lighting, modern heating systems, and efficient insulation and extraction. The additional floor space will also allow Spirit Yachts to increase capacity, efficiency and flexibility, as well as grow its current workforce of highly skilled boat builders. Spirit 76′ Nazgul of Fordell coming out of the current Spirit yard. With Spirit Yachts already at the forefront of modern classic yacht design, the new build space will put Spirit’s waterside premises amongst the UK’s premier yacht design and build yards. Spirit Yachts is currently looking for boat building talent, please contact Nigel Stuart on +44 (0)1473 214715 or email [email protected] if you are interested in joining the team.